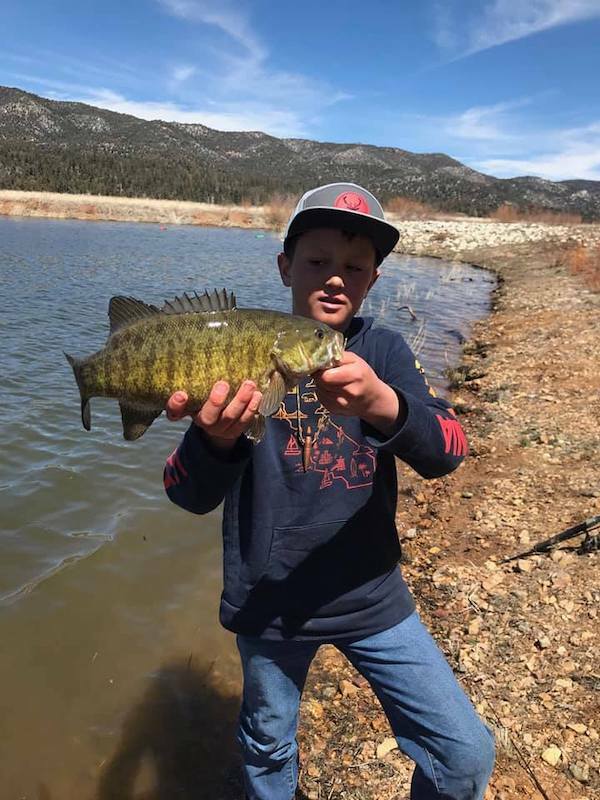 Spring has officially arrived in the Big Bear Valley as anglers are reporting catches of Small Mouth Bass and Crappie over the past week. Now that water levels are up they are able to return to the shorelines and coves that hold familiar structure. 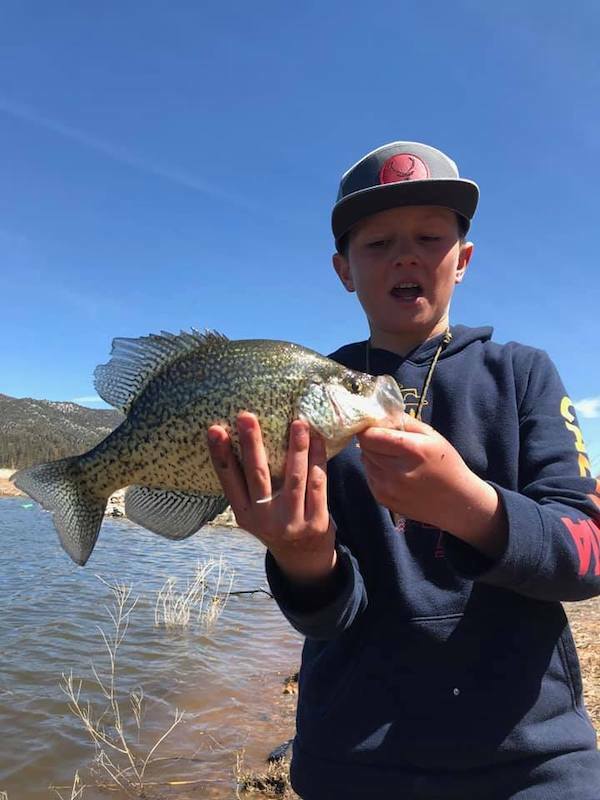 Local young angler, Dax, and his "pop pop" Ted, hooked into this early season Crappie and Smallie fishing areas that were dry lake bed until this past winter. 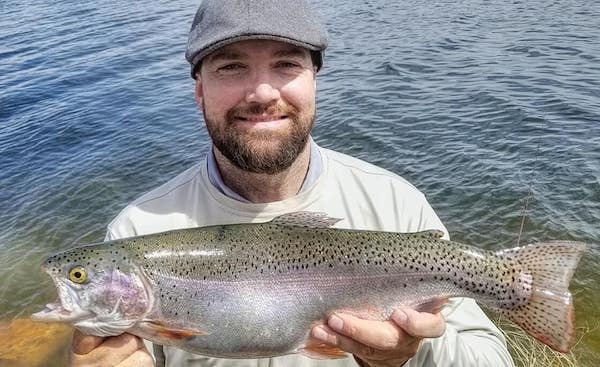 The trout bite slowed slightly as the winds associated with "high and low" pressure systems entering and exiting the area in recent weeks. But anglers that start their troll early in the morning usually have calm conditions until about 10am. 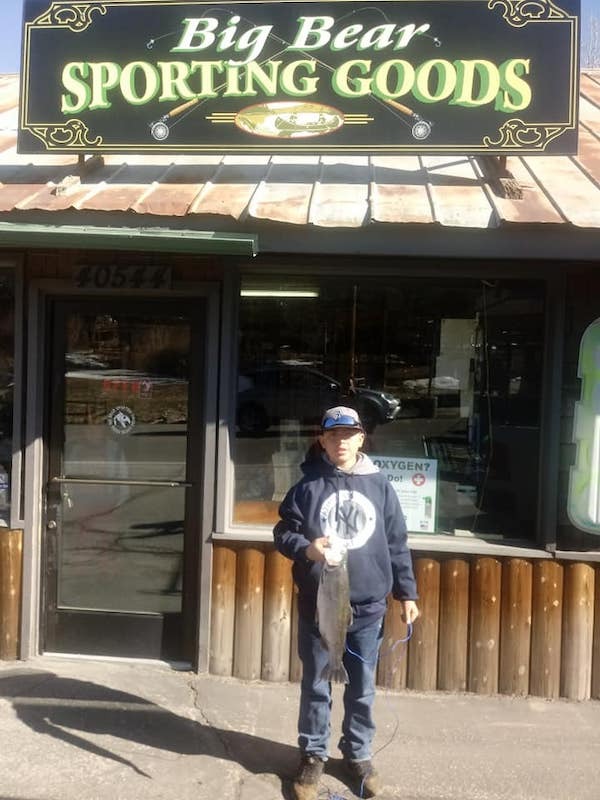 Spoons and Rapala CD3s are bringing some nice fish to nets. 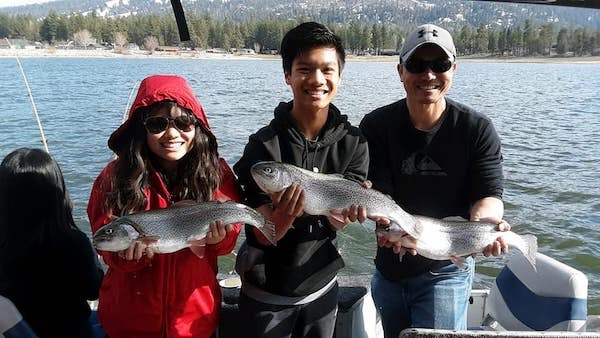 Local Charter Captain John Cantrell got an early start this year and showed his clients, Hyunh Family, how to " Think Like A Fish". Or soak some PowerBait on a 2 to 4 foot leader farther East along the North Shore from Old Grays to Windy Point and the Solar Observatory. 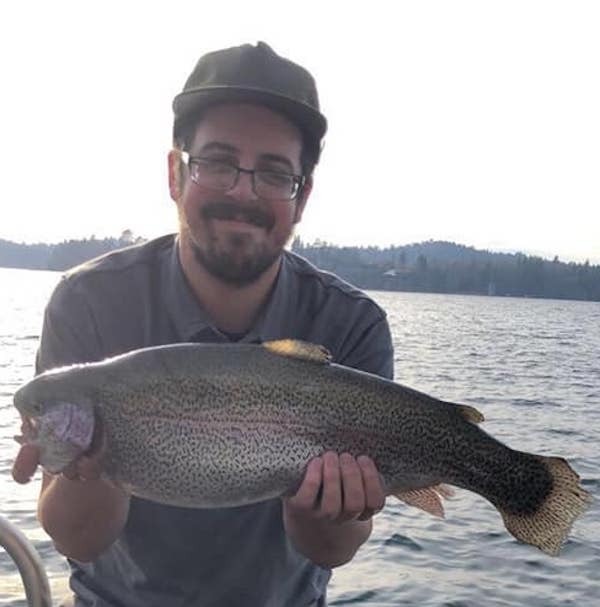 That's what Devin was doing when he practiced catch and release on this beautiful 5.78lb Rainbow. 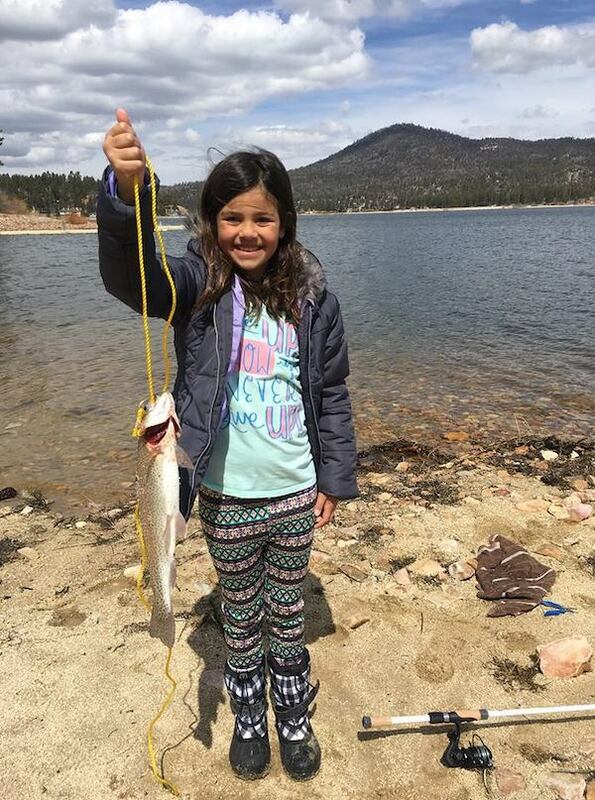 Call BBSG for the latest lake conditions and fishing reports at 909 866 3222 and let the "Fishin' Guys" make your next "Fishing Trip" a "Catching Trip".